The Spurs superstar shook the internet with the reveal of the missing braids. The NBA is making moves in the off-season and so are the players. A pic of the small forward is circulating around the net and fans are in complete shock. Check out some of the reactions from around the net. 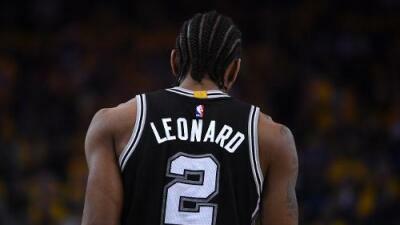 Kawhi had his cornrows since he was traded to the Spurs from Indiana Pacers in 2011.